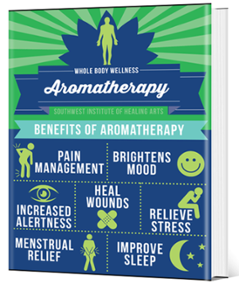 Aromatherapy is a beautiful and powerful form of complementary medicine, yet its effectiveness and capabilities are often misunderstood. Plants grow naturally with task-specific aromas in their roots, barks, leaves, flowers, and fruits. Within these intelligent components is the complex chemistry in which the healing properties are stored and then extracted in the form of an essential oil. As you begin to study the many types of trees, flowers, grasses, and herbs, you will gain a broader perspective and respect for plants. This artistic therapy is often used in combination with other holistic therapies such as massage to improve physical, psychological, and emotional well-being. When used by a properly trained practitioner, these potent, fragrant oils are known to provide amazing health benefits based on the aromatic effect they have on the brain. The brain can instruct the body to heal, based on the message it receives from the plant’s chemical makeup. Southwest Institute of Healing Arts’ comprehensive 100-hour Aromatherapy course educates students on the fascinating properties of various essential oils, including the differences between true and synthetic substances, methods of extraction, appropriate applications, and how to correctly blend selected oils for desired outcomes. There is invaluable information on our Aromatherapy Blog page about how to make specific blends, like a Prosperity or Mental Clarity Blend, as well as Great Graduate postings on how some of our grads are doing amazing things in the world with aromatherapy! Can you see yourself being featured as one of our Great Graduates? We can! This course can be taken to fulfill part of a primary specialty requirement within degree or diploma programs, enhance your specialized tools as a holistic health practitioner, or to further your own personal growth and development. Some of our Aromatherapy classes are also available online. Graduates earn a Certificate of Excellence showing completion of 100 hours of specialization in the field of Aromatherapy. * NOTE: Certificates of Excellence are not designed to serve as stand-alone vocational training and will not prepare you for gainful employment if taken independently of a diploma or degree program. In aromatherapy, “essential oils” are extracted and distilled from the leaves, stems, flowers, bark, roots, or other elements of a plant. The use of essential oils to enhance health and wellness goes back thousands of years. We would love for you to experience aromatherapy first-hand, in one of our classes! We offer complimentary 4-hour Guest Passes to any class of 8 hours or more. Access our online Class Calendar to view upcoming classes or pick one up on campus. The guest passes can be obtained through Student Services at 480-994-9244. 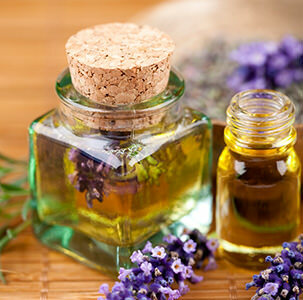 Students enrolled in the Aromatherapy Certificate of Excellence program will study introductory and advanced Aromatherapy, including pharmacology, flower essences, five element acupressure, foot chakra reflexology, massage and oils, therapeutic touch, and more. For a complete list of classes, click on “Program Courses” above or click below.